This morning, a little new arrival landed on my doorstep. A few days overdue, and much anticipated, my new baby is lookin' mighty fine. She came from eBay, for an exceedingly wallet-friendly £20, with P&P. She's a second-hand, Hermès Birkin-esque, real leather bag by Jasper Conran. 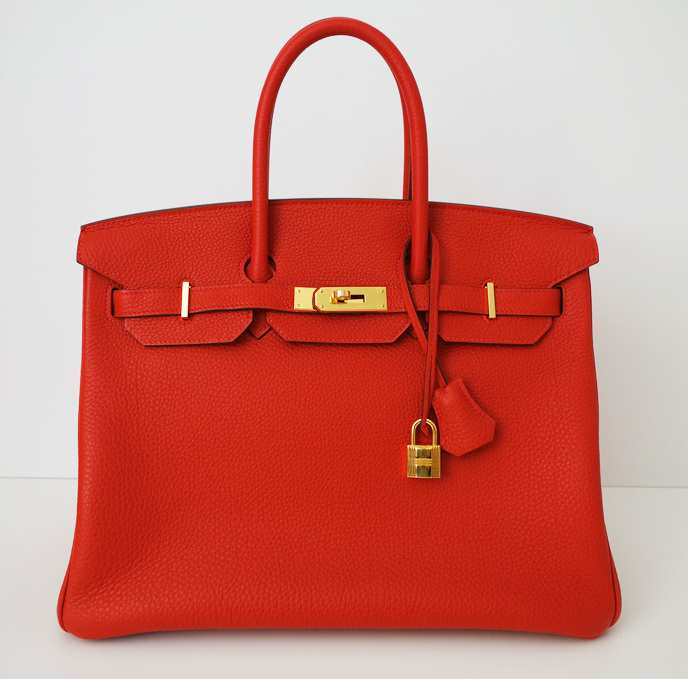 When I say Birkin-esque, here's the real deal; I think you'll agree there ain't much in it... apart from £13,000 ish. A vintage, green (beautiful) real Birkin is currently selling on Matches - matchesfashion.com - for a rather eye-watering £12,460. It is 'on sale' from £17,800, so you would be saving 30%... anyway. I'll leave it up to you. Should you feel similarly enamoured with this timeless, classic design, you can buy Jasper's most recent incarnation of this model through Debenhams here. A more similar version you can find, again through Debenhams, here in a very chic taupe, or - should you want to grab an even bigger bargain - head over to eBay; there are a few of my model up for grabs in a colour-popping pink, breton-esque white, pearlised white, or in eminently wearable - and slightly more practical - black. I shall be teaming mine with little summer dresses, studded boots, shirts, skinny jeans and chic flats.